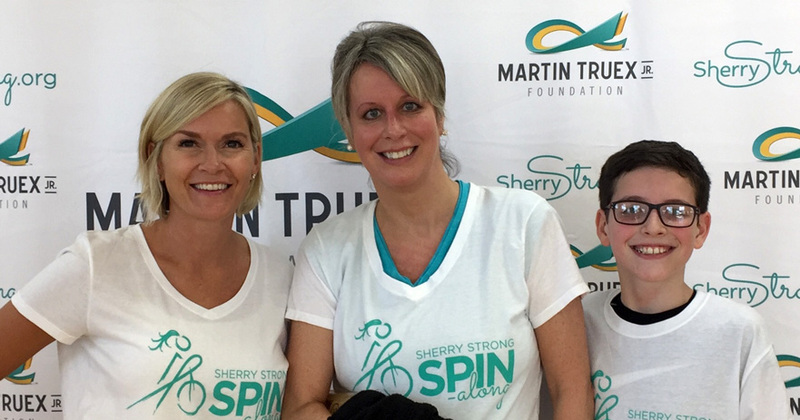 Sherry and Martin know a thing or two about sweat equity and succeeding where wheels are involved. 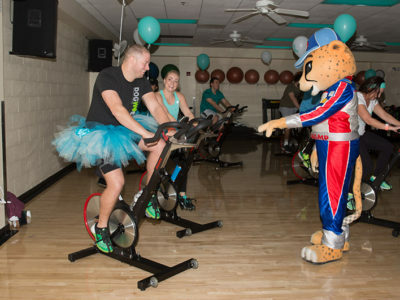 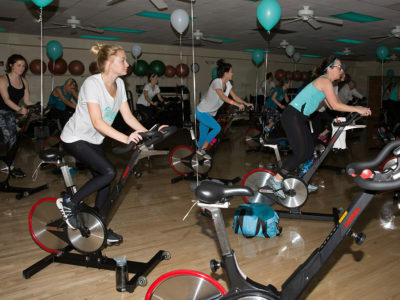 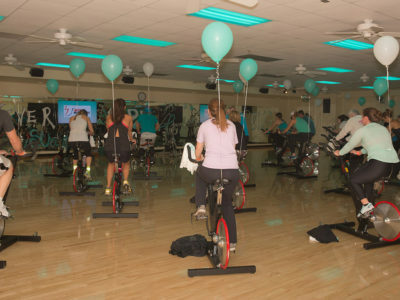 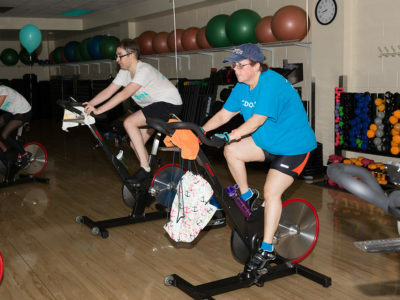 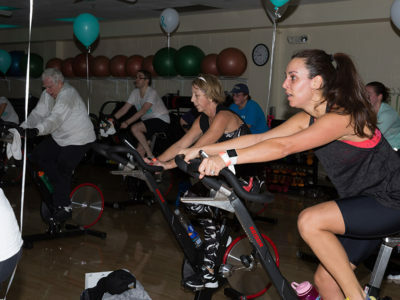 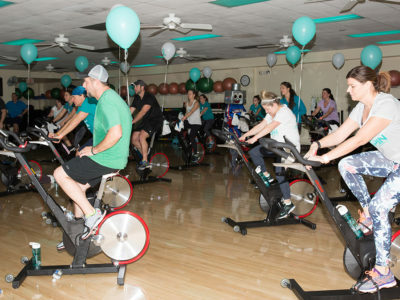 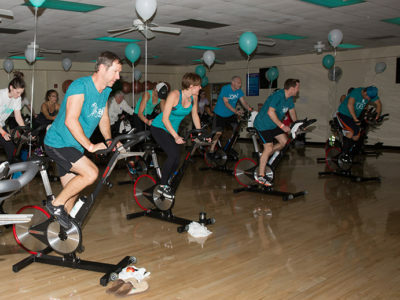 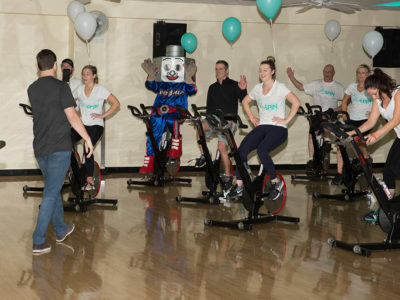 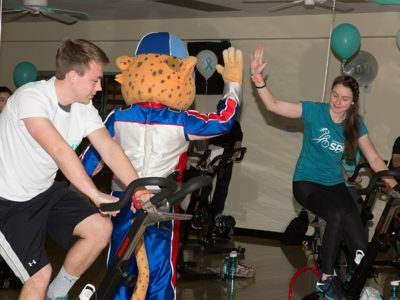 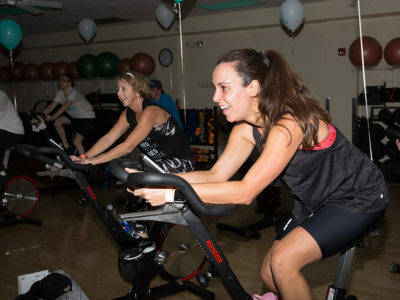 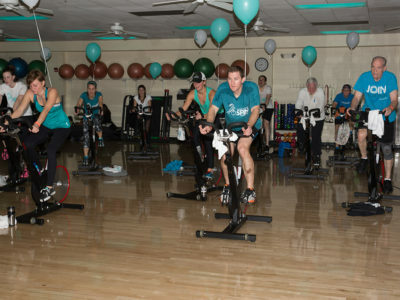 The Martin Truex Jr. Foundation’s second annual SherryStrong Spin Along took that grit and determination to the next level as more than 150 riders at Mooresville, N.C., and New Jersey locations raised nearly $65,000 to support women facing an ovarian cancer diagnosis. 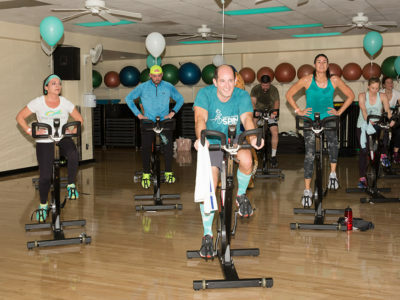 “Our 2nd Annual SherryStrong Spin Along was amazing! 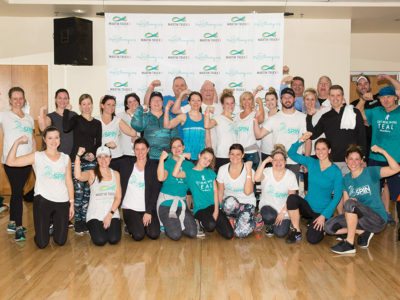 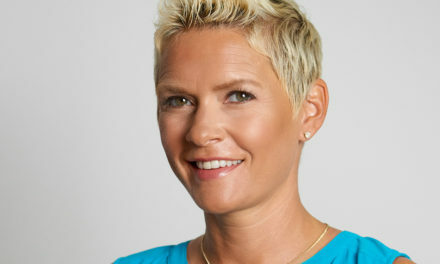 I am so overwhelmed by all of the support we get from our local community, loyal followers of SherryStrong and the NASCAR fans,” Sherry said. 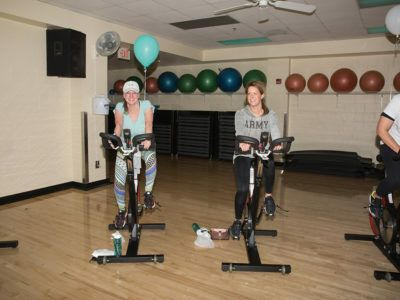 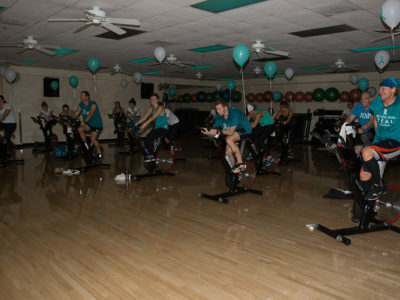 “Charlotte Slader and her 11-year-old son, Hayden, drove from Ohio just to come support me and Spin for ovarian cancer! 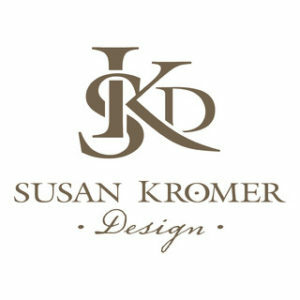 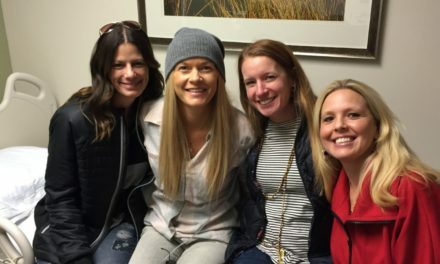 I was so grateful! 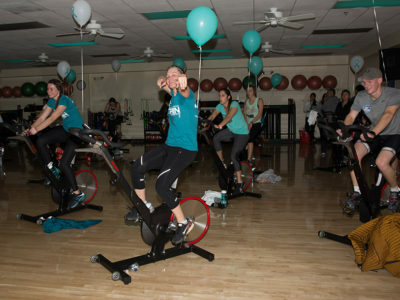 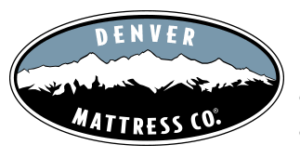 “We raised over $15,000 more than we did last year, which is incredible. 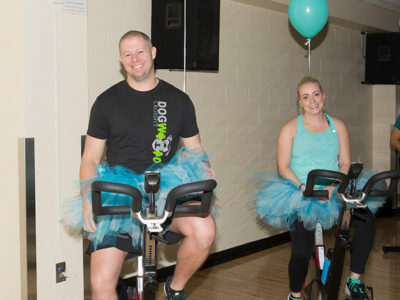 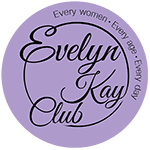 I can’t wait to put that money to use in our community to help women fighting this terrible disease. 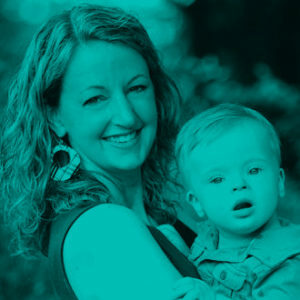 Slader said she’s frustrated early detection tests still don’t exist and has witnessed many late-stage diagnoses. 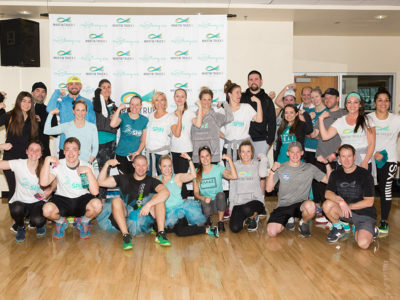 “Most of these women had seen their health care provider with symptoms that might suggest ovarian cancer and were initially misdiagnosed,” she explained. 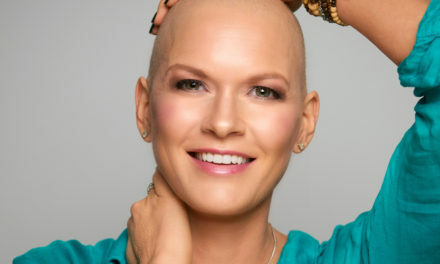 “Thus, precious time was wasted from initial presentation of symptoms to obtaining an accurate diagnosis. 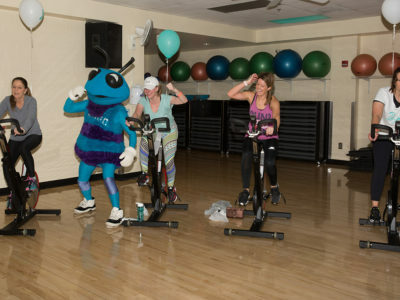 The Spin Along saw some hairy participants, as well: Lug Nut from Charlotte Motor Speedway, Champ from NASCAR Hall of Fame, and Hugo the Hornet. 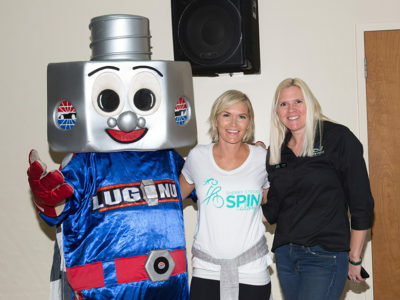 Notably, Martin did not choose to spin in Hugo’s class this year, after feeling stung by the experience last year. 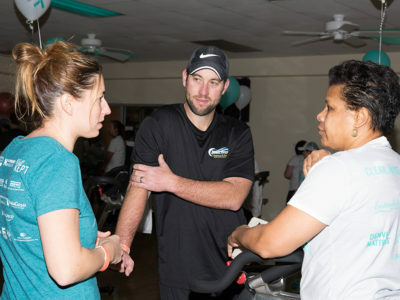 The MTJ Foundation heartily thanks Novant Health Foundation, WellKEPT, Dala Casa Landscaping, SunTrust, MTJ Motorsports, Lavendar Boutique, Clean Juice – Mooresville, Teal Diva, Furniture Row Racing, Denver Mattress, Susan Kromer Designs, Inc., Benningfield Chiropractic, Evelyn Kay Club and Brawley Animal Hospital for their sponsorship and support. 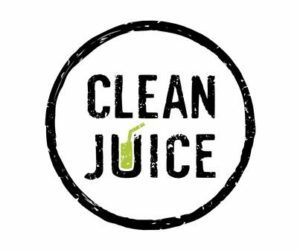 Thank you also to Clean Juice – Mooresville, which donated Rx Bars and juice samples for the riders. 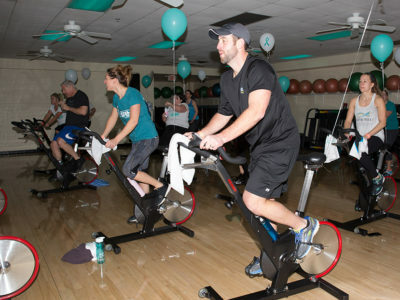 Panera Bread Co. donated coffee and bagels, and Party City donated balloons for the event. 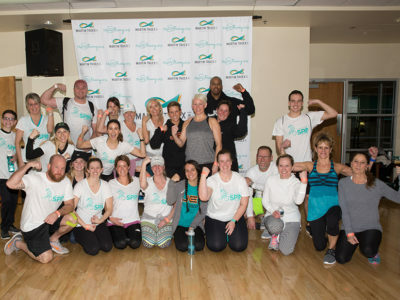 Stay updated on more MTJF/SherryStrong events by following us on social media!